This is my shop, the BrainRates shop. Check it out! Please check out ALT account @NYCDOT1! I F4F! | I have 94/100 Followers! | Favorite Font Is Times New Roman! | Applying for FPC! 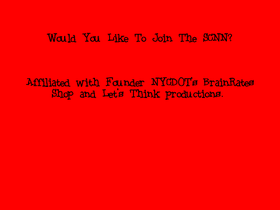 Would you like to join the SCNN?